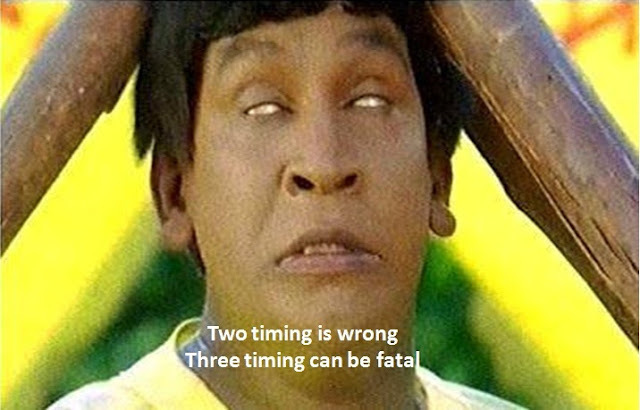 If you have watched Vadivelu comedies, you will understand this post. I came across some clips from some of his movies and made a post with those pictures. When you see a picture, you will remember the scene and the dialogue also. After picturing that scene , you can read the captions written on each picture. You will understand the essence of the post when you do this. The pictures convey deeper philosophy on the subject of love. 2) When you have a love failure, do not get bogged down. 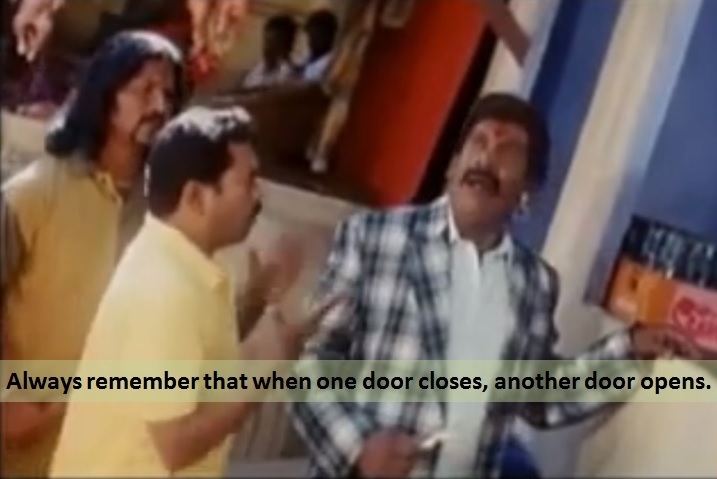 Remember Thirisa illana Diviya. Do not ever cheat the person who is in love with you. I can hear the mind voices of some people who are saying "I don't even have one and this guy is talking about more than one". Finally , when you have a love failure, don't feel as if you are the only one in the world who has been taken for a ride. There are millions around the globe who share the same story.